Several years ago, I had a health scare, and a friend of mine recommended a physician whom he insisted was the best in the area. The only problem was that Dr. Jannson didn’t accept insurance—any insurance. And her rate was $500 an hour. Up until then, I hadn’t heard of doctors shunning insurance. Given our outrageous monthly Blue Cross premiums, I felt peeved to have to pay out-of-pocket. But I scheduled an appointment anyway. As it turned out, the experience in Dr. Jannson’s office was like driving a Rolls Royce after a lifetime of Dodges. She respected the fact that the clock was ticking and took only 30 minutes, cutting my bill in half. There was no wait time and there were no other patients in the wings distracting the doctor from my case. For that half-hour in the office, I had the intense, unhurried, dedicated attention of a healer who listened to everything I said, looked things up regarding my condition on the spot, and who took the time to think about my symptoms before prescribing any solutions. In the end, she correctly diagnosed me. I had Typhoid Fever, which made no logical sense given that I hadn’t travelled outside the country, but Dr. Jannson nailed it, whereas the two physicians I had seen previously suggested I had either Lupus or Rheumatoid Arthritis and were ready to proceed accordingly. Fortunately, because I saw Dr. Jannson, I received the antibiotics I needed to save my life. 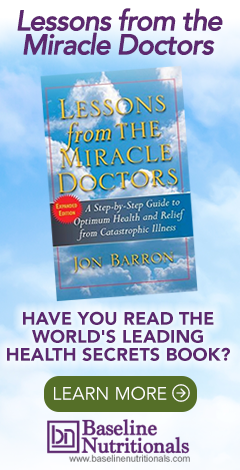 What made Dr. Jannson’s care so much better than those other doctors who took insurance? Was it the extra time spent? The lack of rules imposed by managed care? These days, increasing numbers of family physicians and internists are ending their contracts with insurance companies, switching instead to fee-based practices. Some of these doctors require patients to pay out-of-pocket for each visit; others offer a retainer membership where patients pay a monthly fee for unlimited access to the practice.1 There’s a big difference between the two models from the patient standpoint. In the one case, patients pay whatever rate the doctor charges for every visit, and that can be a very expensive proposition, as was my experience with Dr. Jannson. The membership model, on the other hand, can be quite affordable. Some practices charge as little as $39 a month, and while others charge as much as $15,000 a year, the average rate is about $150 a month.2 For that fee, patients can have appointments whenever they need them, plus they pay for things like lab work, prescription drugs, and CAT scans—but at sharply reduced fees. Physicians who accept insurance maintain an average caseload of 2300 patients, a responsibility that certainly must tax the sanity and resilience of even the hardiest souls. By refusing to accept insurance, doctors can cap their caseloads at exactly the level they choose. Instead of handling 2300 or more patients, more than half of fee-based physicians limit their caseloads to under 500 patients, the other half sees up to 1000 at the very max.3 And ironically, fee-based doctors make as much money or even more than their peers who sweat it out seeing thousands. They can practice medicine as they believe it should be practiced instead of having to do what the managed care companies dictate, they can focus on patient care instead of on meeting the bottom line imposed by insurers. The quality-of-life payoff is huge. But what about for patients? If the budget is large, membership in a physician practice offers a big boon. There’s a “concierge doctor” at the patient’s beck and call—an unhurried doctor at that, who gives patients time and careful care. But the reality is that membership in your family doctor’s practice isn’t enough. If your doc finds something seriously wrong with you, you’ll need to go to the hospital or to see a specialist, and without insurance, you’re screwed. And so most who belong to a membership practice or who pay out-of-pocket for each doctor visit also need at least minimal insurance for emergency care. And so, increasing numbers of patients are both enrolling in their doctor’s concierge practice, paying monthly fees, plus retaining high-deductible insurance. Isn’t that a far more expensive deal than getting good insurance coverage in the first place? The truth is, that depends. Let’s say you have membership in a medical practice at $150 a month plus a catastrophic plan at $174 a month (the US average in 2017). That might come out to a lot less than if you instead have top insurance through your employer (premiums for platinum plans average $573 a month), because even with top insurance, you also need to pay the average deductible of $1000 per year before your coverage starts, plus co-pays.4 Those premiums will surely be much higher if you’re over 50, or if you live in certain expensive parts of the country. It’s no coincidence that most patients who opt for concierge care are aged 50 or above. The picture is even more dire if you have an individual policy instead of a group plan, because individual deductibles average $4328 annually before the plan even kicks in.5 That’s not for a high-deductible plan, by the way. Given these costs, it might actually be more economical, at least in some cases, to find a membership practice that you like. But again, costs are hardly the only consideration. Having a doctor who will care for you and who isn’t spending your exam time thinking about escaping the profession surely counts for much. In conclusion, if you find a good doctor who offers a membership, you might want to consider it. And if you find a great doctor who doesn’t offer a membership and doesn’t accept insurance, either—it might, in some cases, be worth it to dig deep into your pockets at least for a consultation, if you can afford it. Most regular people do not have deep enough pockets to come up with the exorbitant pay for the private doctor’s visit you talk about in your article. It’s a ludicrous suggestion. You just dropped considerably in my estimation of you. In fact it’s shocking. Really, are you addressing the top 1%? We need to have Universal Healthcare here as so many other countries have and do quite well for the masses, and the very rich can still procure their private practitioners. Thanks for your comment. Just to let you know, I can confirm there is no one at the Baseline of Health Foundation that is at the top 1%! For us, it is really about priorities. Many will opt for an expensive car, phone, vacation, or something else. We opt to invest in our health.